Congratulations to John Croom (Sr.) Track and Josie Ritchie (So.) 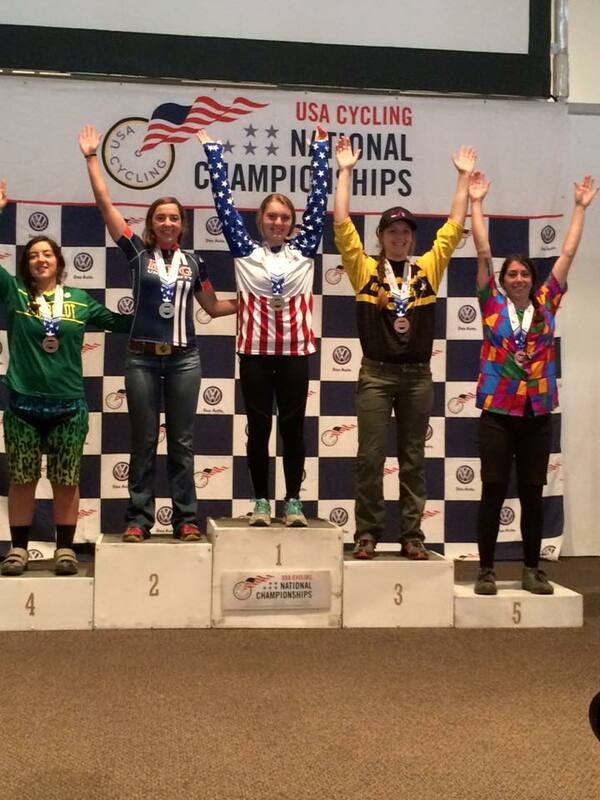 Track and Mountain for making the USA Cycling Academic All-Stars list. For athletes to qualify for this honor they must compete at a National Championship during said semester and maintain a GPA of 3.5 or higher. 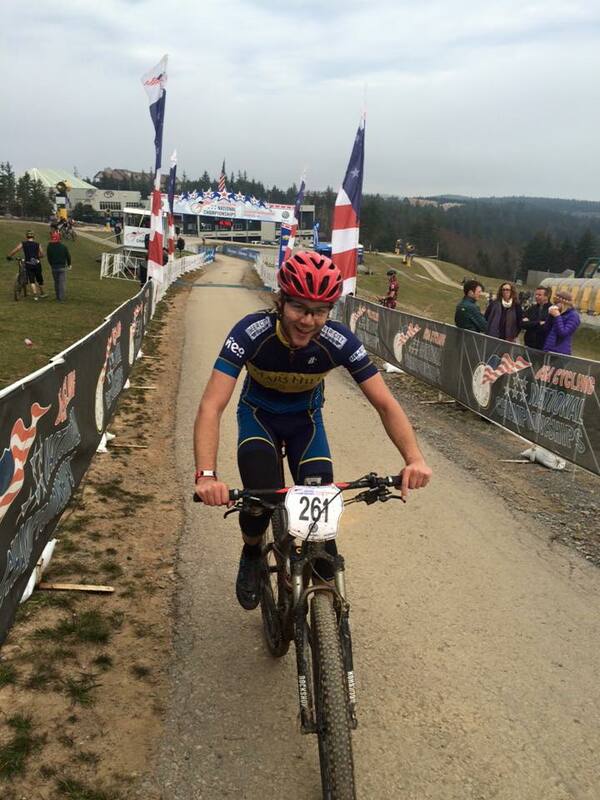 This past weekend was Collegiate Mountain Bike Nationals, held in Snowshoe, West Virginia. The event lasted three days, Friday through Sunday, but most teams had already arrived by Thursday afternoon so as to have time to pre-ride the courses. It took us roughly six hours to arrive at Snowshoe and we were settled in to our condo by 3:00 pm. Snowshoe was a gorgeous venue that offered breathtaking views on either side of the mountain as well as offer challenging, well made trails. Friday morning was our first race, Short Track. The short track course was a fast two minute loop that took us through the village, down a dirt road, and ended with a short, punchy climb to the finish. With over 40 men in the race, the first 10 minutes were crucial to survive so as not to be pulled. At the start, I was in the third row and did not have much room to move up. Once the race started it was non-stop sprinting for the first few laps until things settled in and I was unfortunately caught in the back. After ten minutes of racing, I had started slowly passing people one at a time and moving up in the field. At the 16 minute mark, I was pulled from the race and the leaders went by shortly after that. I ended up getting 23rd overall which I was happy with seeing as it is my year racing collegiate as well as knowing I can move up next year and do better. 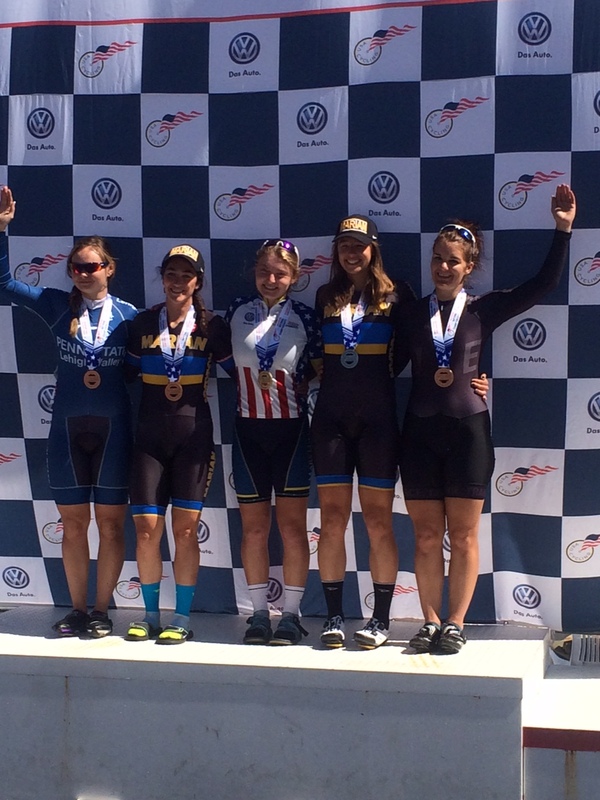 Comments : Comments Off on Josie Ritchie wins National title in women’s 500m TT, team brings home bronze!!! 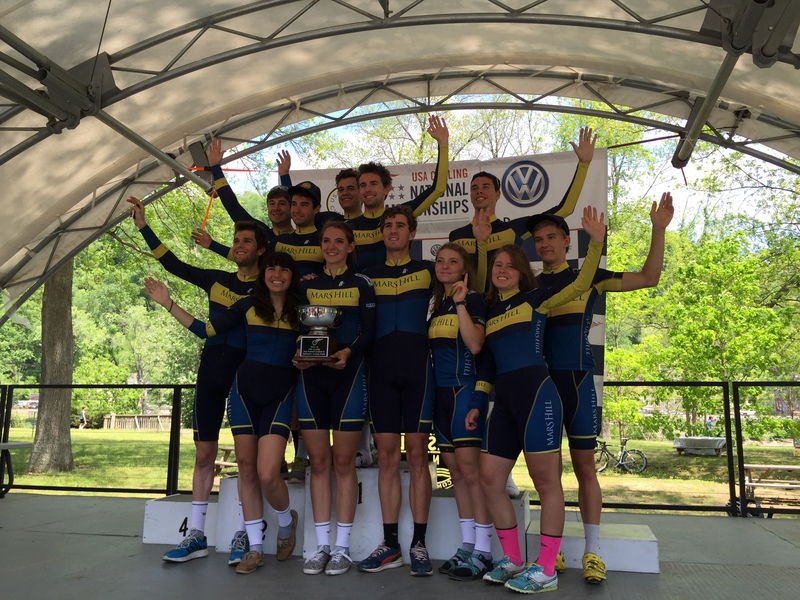 On May 8-10, Collegiate Road Nationals took place on home turf in nearby Marshall and Asheville, NC. 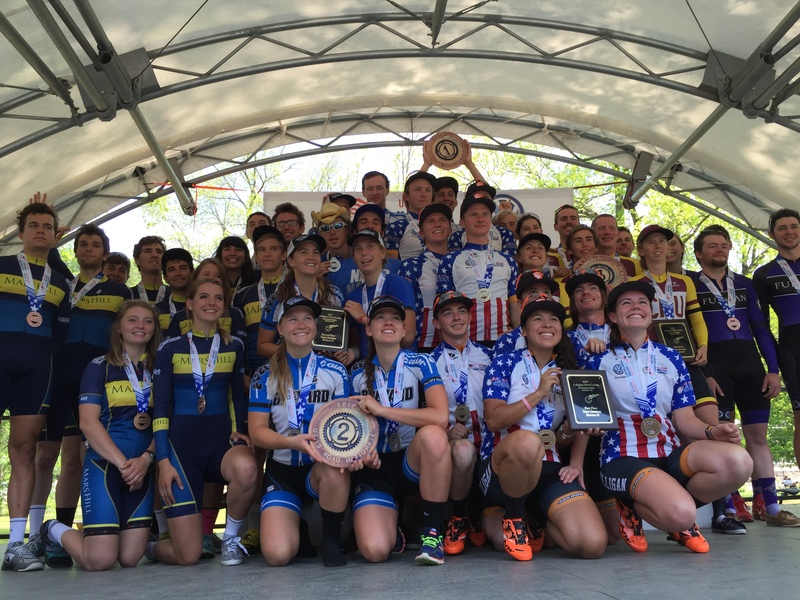 After three days of hotly contested racing, Mars Hill ended up in first place in the yearlong DII omnium that includes team results from all five collegiate disciplines: track, mountain bike, cyclocross, BMX, and road. From September to May the team raced their hearts out, demonstrating that consistent hard work and dedication does lead to success. Road nationals arrived in Asheville and Marshall in Madison County, also home to Mars Hill University, as a result of partnerships between the Asheville Sports Commission, local governments in Asheville, the Town of Marshall, and Madison County, and through the collective efforts of a local organizing committee that included many stalwarts of the local cycling community. 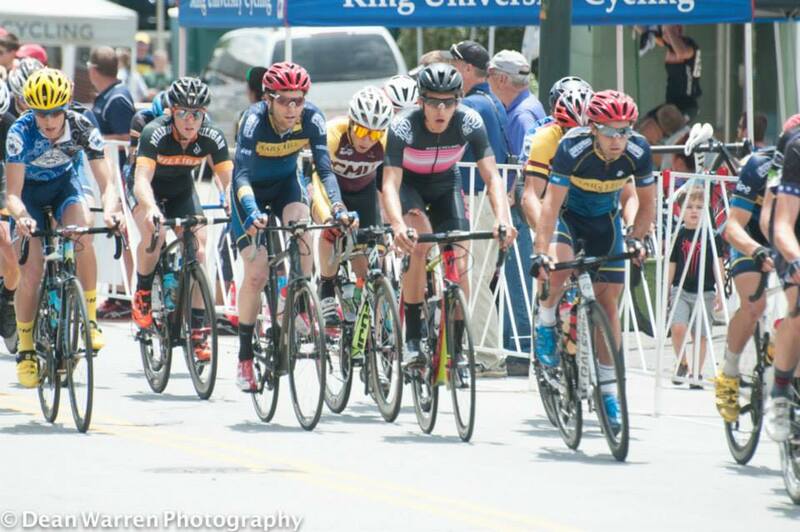 For MHU Cycling, this was an opportunity to race on the same roads we regularly train on and to hopefully turn that into an advantage for road nationals. The event began on Friday with the road race, a 25 mile loop out of the Town of Marshall that included several steep climbs before a fast riverside finish back into town. The men did three laps, the women two. The Mars Hill men finished with three men inside the top fifteen, including a solid third place for Mauro Rato, combining for enough points to take top points in the men’s event. The team’s three freshmen women–Alex Christofalos, Paige Shook, and Rachael Freeman–performed well enough to help the team end day one in third place in the team omnium. Saturday’s criterium on the South Slope of Downtown Asheville included a long uphill finishing straight on a technical course of just under a mile. During a 75 minute race, the men’s field splintered early on, the hill and the heat taking its toll. Again, Rato was the team’s top finisher in 7th, which would be good enough for the final step on the individual omnium in fifth. The women’s 60 minute race also split up into small groups early on and the women gave their best efforts to help maintain the team’s third place in the team omnium. Sunday’s time trials decided the team omnium. 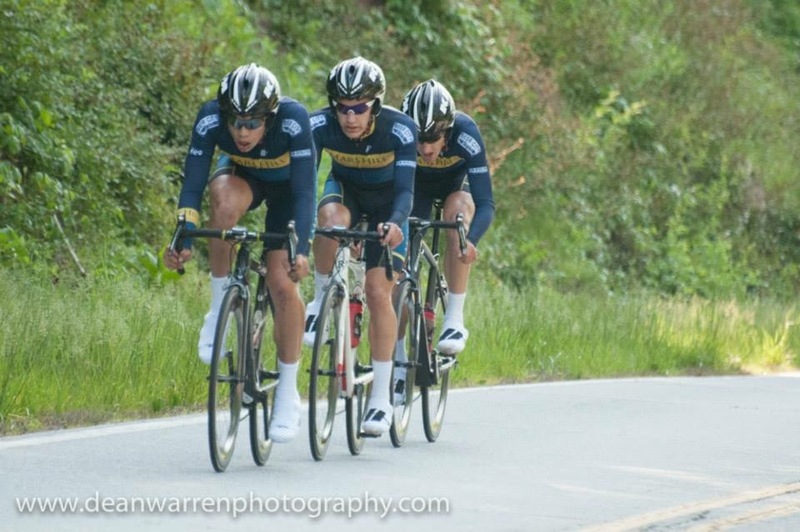 The Mars Hill men had their fastest TTT time on the course after many training sessions during the spring, despite losing one rider to a flat in the latter part of the race. 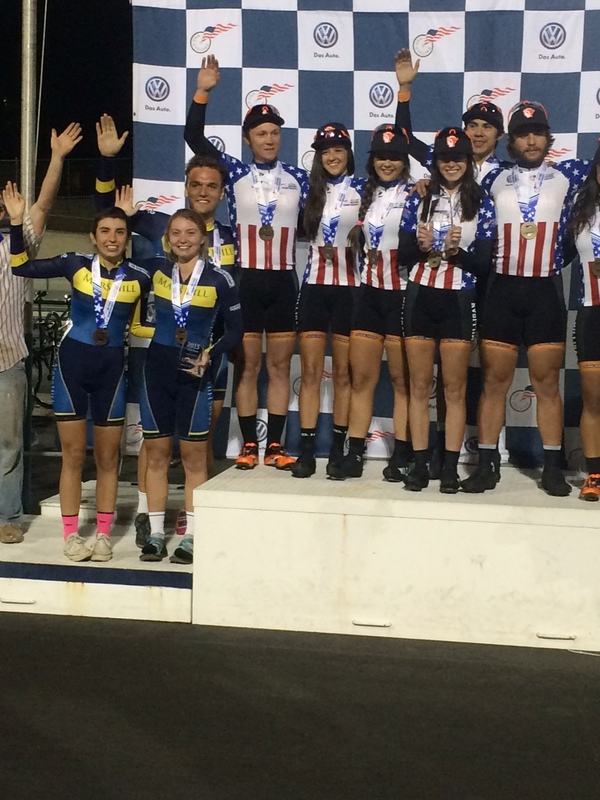 The women’s TTT event was the last race of road nationals and would decide not only the road nationals omnium but also the yearlong team omnium as well. The women did what they had to do and collected just enough points to help the team finish fourth overall at road nationals, which secured the yearlong top spot by a mere nine points over Colorado Mesa University, the top ranked DII team for the last two years. Mars Hill had previously won the yearlong omnium and #1 ranking in DII in both 2011 and 2012, and it was fitting to reclaim the title on home turf in 2015. Full team and individual results can be found at USA Cycling, including results from the individual time trial, a standalone national championship. In addition, the final day’s time trials included para-cycling athletes seeking qualifying spots for upcoming world cup events. 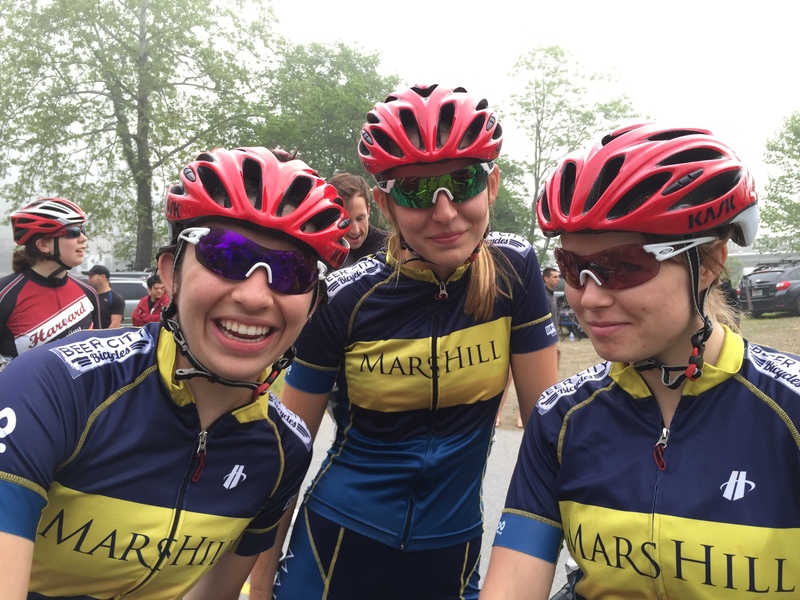 Road Nationals will return to Asheville and Marshall again in 2016. For now, the team will take a break during the summer term, returning to action in the fall with track, mountain bike, and cyclocross racing. Thanks to our local and industry partners who make it possible for us to compete at this level.